At Kaplan International English, we really love languages. Becoming bilingual is like owning a magic key that lets you explore, work and make friends in places you might otherwise never have been able to enter—especially if one of your languages is English. 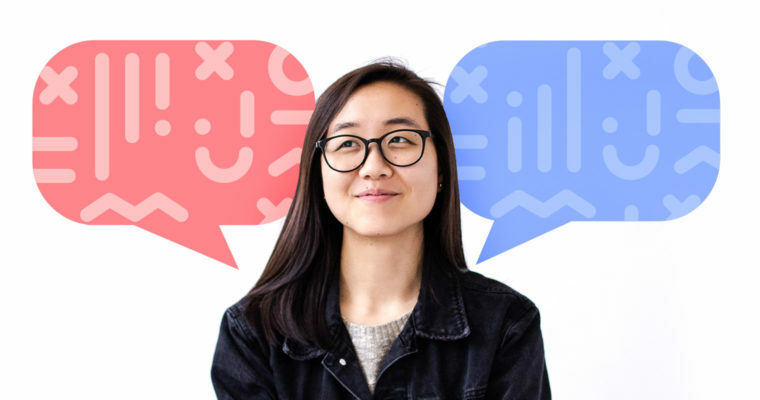 Now spoken by a quarter of the world’s population, English doesn’t just belong to native speakers—it belongs to everybody, giving people all over the world a way to connect, exchange ideas and get their voices heard. We believe the best way to learn is to go on an adventure, which is why all our courses not only offer expert classroom tuition but also plunge you into the living language by helping you explore the amazing world around you. When you’ve just visited Stonehenge, the Golden Gate Bridge, or Sydney Harbor, you’ll have plenty to talk about! There’s so much you can do with English—make yourself understood almost anywhere, enjoy iconic movies and literature in their original language and profit from a great boost to your earning power. But can it actually make you smarter? Cognitive neuroscientist Ellen Bialystok put bilingual and monolingual people into a driving simulator and then gave them additional tasks to perform over the phone (please don’t do this in real life!). All the subjects’ driving skills worsened when they had to do something else at the same time, but the bilinguals did noticeably better, even when the tasks had nothing to do with language. It seems that bilingual brains are multitasking all the time—even when they’re speaking one language, they’re constantly summoning vocabulary from both and choosing which to use. That constant practice helps keep brains nimble and allows bilingual people to juggle tasks more easily. You’d assume you’d make the same decisions when operating in a foreign language as you would in your own tongue. But according to Boaz Keysar at the University of Chicago, the effort of communicating in a learned language forces people to be more deliberate and rational, rather than unconsciously relying on emotional instinct. Keysar’s team gave students $15 in dollar bills and invited them to make a bet—keep each dollar or risk it for the chance of gaining $1.50 if they won a coin toss. Statistically, this should have been very attractive: if the students took every bet they were almost certain to gain money, but when speaking their own language, their fear of risk took over and they were reluctant to bet. But when they were presented with the same experiment in their second language, they took the bet far more often—the logic of the situation was more obvious to them. Just imagine how helpful that ability to analyze problems and grasp opportunities could be when speaking English in the workplace! Sadly, being bilingual can’t actually prevent Alzheimer’s or other forms of dementia. But there’s impressive evidence that it can keep brains healthy for longer. Bialystok found that bilingual patients with Alzheimer’s reported showing the first symptoms of Alzheimer’s five years later than the average for monolinguals. They could also function at a higher level than other patients whose brains showed the same level of deterioration. Their second language had bought them more time. Many true bilingual people didn’t acquire their fluency by choice, but by necessity and constant exposure in early childhood. We often assume that learning language in adulthood is far harder, and if you didn’t gain fluency as a young child, it can be easy to feel discouraged. But this is a common misconception. Learning a new language isn’t actually easy for children. Just think how long it took you to learn to speak your own language, let alone read and write it, at an adult level! While children’s brains are more sensitive to new sounds, (making it easier for them to speak a foreign language without an accent) adults have their own advantages too. Your life experience, your more sophisticated cognitive skills and your advanced understanding of the mechanics of language will all help you just as much as children’s growing brains help them. And research by neuropsychologist Albert Costa suggests that a second language gives you the same advantages in executive function and healthy aging, no matter when you learn it. Cognitive psychologist Dr. Christos Pliatsikas found that even in so-called “late” bilingual people who gained their skills in adulthood had stronger, more-efficient brain structures than monolingual peers. Immersion is key, he says: “bilingualism ‘reshapes’ the brain, but […] bilingual immersion is a crucial factor in the process.” Meanwhile, another study by Michael Ullman, Ph.D., a professor of neuroscience at Georgetown University Medical Center, shows that the brain continues to build on the positive effects of immersion even after immersion has ended.